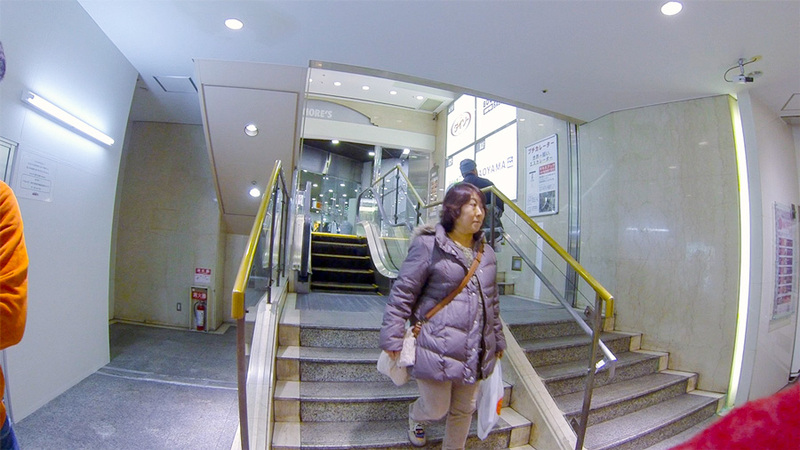 If you go to Kawasaki, Japan, stop at the JR Kawasaki station, go out the Southern Exit, cross the street to the More's Department store, then make your way down into the basement you'll see it: The World's Shortest Escalator. Although it's an easy 30-40 minute train ride from central Tokyo, we went out of our way to come here specifically to see this escalator. 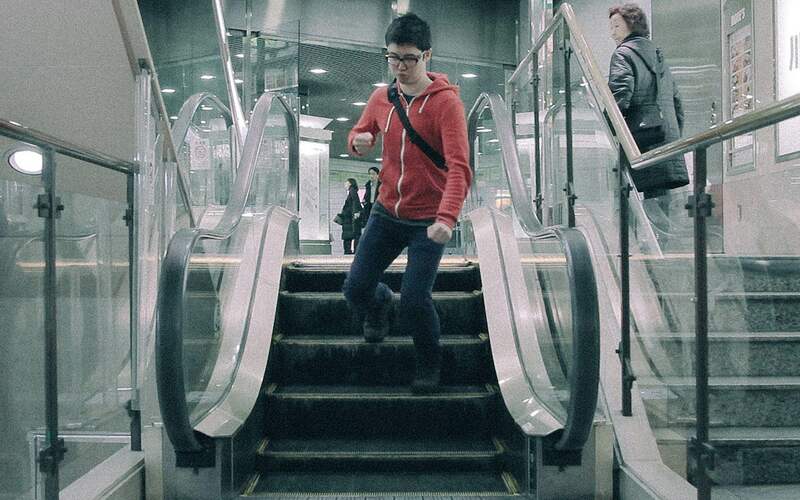 How many people can say they've seen the world's shortest escalator? That's right, now I'm one of the elite few. The Puchicalator (yes, it has its own name) measures in at 83.4cm tall. 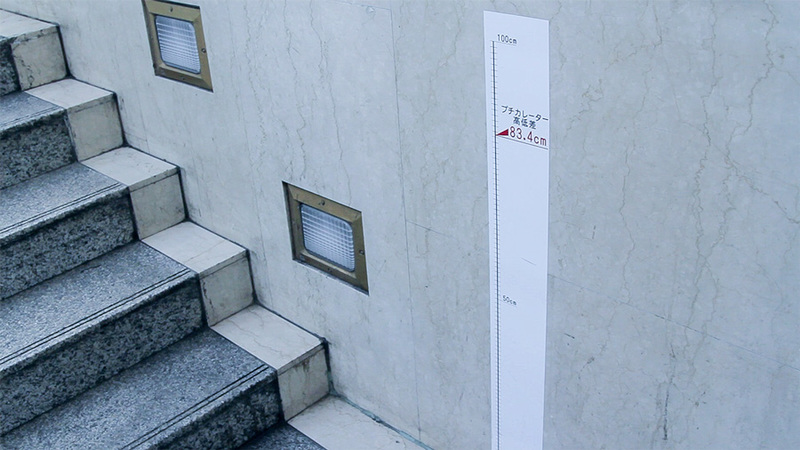 That's 32.8346 inches. The world's shortest escalator consists of five whole steps… steps that go down, I should add. That means that if you have trouble going up steps, you're out of luck. There are around ten stationary non-escalating steps on the other side, so hold onto the hand railing. And, even if you do go down the 5-step Puchicalator, you're met with five more non-moving steps. No matter what, you have to climb or descend some not-escalator steps. That means that the Puchicalator is adding no real value to society, unless you count entertainment value. Here's a shot from Kawasaki station. Look up for the Okadaya More's department store. That's the building it's in. 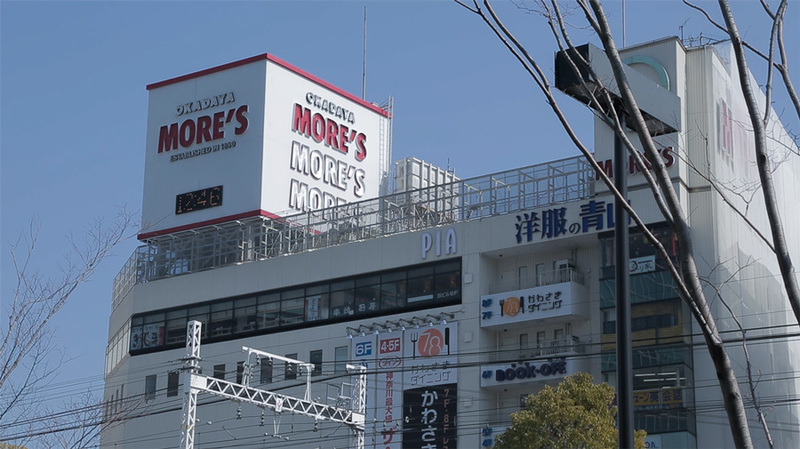 MORE'S MORE'S MORE'S! Go inside and head downstairs. Keep going. You'll eventually find it. If you don't, that means you went down the wrong set of stairs. The Puchicalator exists at one of the entrance/exits, and there are only one or two of these, so keep looking. It's around the edge of the building. If you're in the grocery section of the More's you're on the right track. 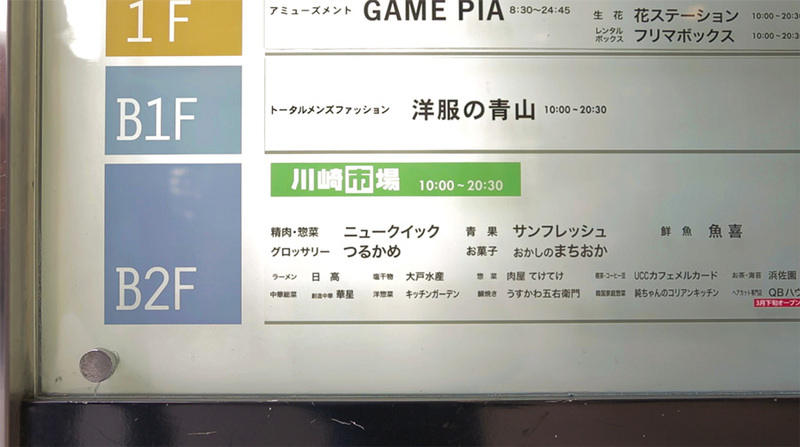 If you're in Japan, is the Puchicalator worth seeing? For me personally, the answer is an easy "yes." If you're in Tokyo already and have a few hours to spare, head on down to Kawasaki to view this marvel of creation. Or better yet, make it part of your trip to Yokohama or Yokosuka (or many other southwest-of-Tokyo destinations). It's going to be on your way. I had a great time, but I also love seeing weird things like this, so it won't be for everyone. The escalator itself isn't all that impressive, but at least you'll die knowing that you saw something that almost nobody knew ever existed. I think that was my first experience to visit a place that has a Guinness Record, so I added one extra point. But other than that, it’s an ordinary short escalator. It was amazing, and Viet & Mami need to stop lying to themselves and up their ratings. Someone please answer this: why doesn’t the escalator go up??? 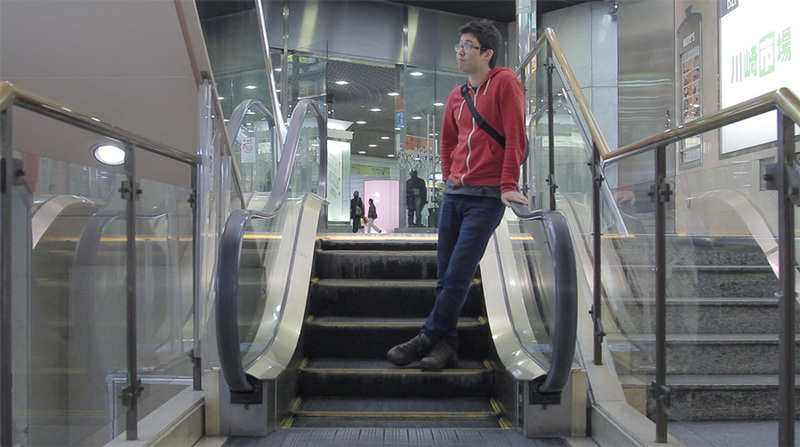 You literally will not find an escalator as short as this one. Each ride is more enjoyable than the last. The elderly will look at and judge you. One of my greatest memories. Very easy to get to from Kawasaki Station. The ride is too short. Would not help if you have a handicap.